Any platform release is always accompanied by numerous motherboard releases, high-end models leading the van. LGA1155 is not an exception. The first motherboards announced for it are based on the P67 chipset intended for enthusiasts and overclockers. 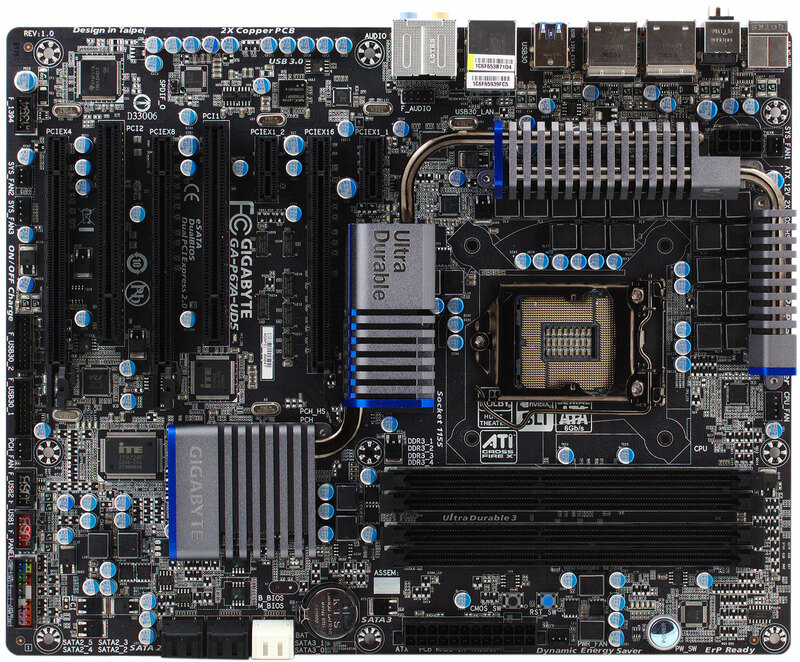 Gigabyte, among other manufacturers, released six boards at once. One of them will be reviewed today. Traditionally, we'll start examining the new series not with the cheapest solution (such boards are not very interesting to review) and not with the most expensive (most users cannot afford one). We shall review P67A-UD5, the second best of the Gigabyte's lineup. A successor of the already reviewed P55A-UD6 hasn't been released for the LGA1156 platform yet, and the highest-end P67A-UD7 is too feature-rich: it offers 3 Way SLI while most people only have one graphics card, dual LAN, additional SATA ports and more VRM phases. All of this will surely interest enthusiasts, but they'll have to pay a lot. But the P67A-UD5 may become a bestseller, because it's very practical: it has all features you will need, some features you might need, and no features you won't need. The first thing you notice right away is the color unusual for a Gigabyte product: now company's high-end motherboards also come in black. This is nice, because their motherboards used to sort of flamboyant. The layout looks familiar and reminds the previous series with a few exceptions. The first and foremost is four memory sockets versus six on both UD6 modifications. Well, that's logical, because to populate six sockets you would need rare single-bank modules in four of them. This change was actually introduced with the P55A-UD7, and they didn't customize the PCB for the new series. In general, it seems Gigabyte tried to use as many old design features as possible. Sometimes this was justified, sometimes not. At first glance CPU power circuitry has remained the same, except for 20 phases instead of 24 (only P67A-UD7 has 24 phases now). We can't say it's a drawback, because Gigabyte's lower-end models based on P67 or H67 chipsets can do fine with 12, 8 or even 4 phases. 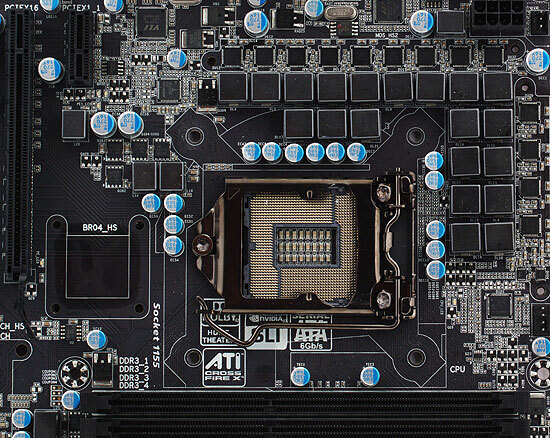 Moreover, LGA1155 processors will be overclocked by means of multiplier, which greatly eases up on the requirements to CPU power circuitry, because uncore and other built-in controllers are not involved. This means the company has provided a solid reserve of robustness. Digging deeper, you can see that there are many internal changes. 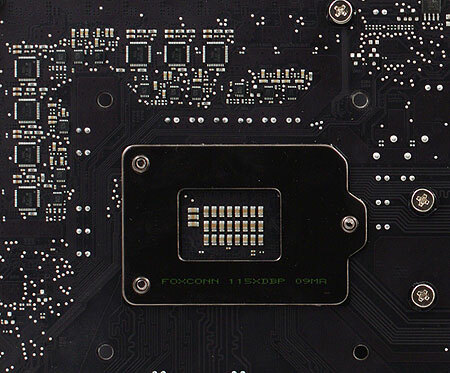 For example, the Dual CPU Power technology allows the two VRD module sections to work by turns under low load, activating as many phases as needed — this increases motherboard's life cycle. 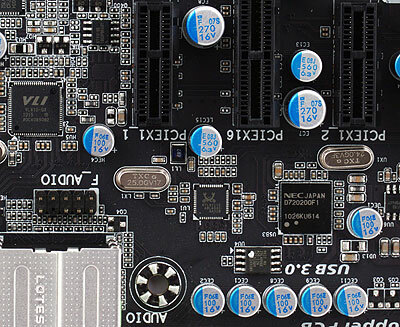 This technology has actually debuted in the experimental X58A-UD9, and now it has come to regular motherboards. That experimental board also provided the next change: the use of DrMOS integrated solutions (the same Vishay SiC769 at the same place on the back) in the CPU VRM instead of discrete MOSFETs and a discrete driver IC. Despite the promising nature of this technology, only MSI has used it for the recent years, so it's no surprise this innovation is missing from Gigabyte's advertising materials. A year ago, when we interviewed Gigabyte engineers, they admitted they were considering DrMOS advantages and drawbacks. So here it is now. Their marketing specialists are probably having a hard time avoiding terms used by competing companies. But there are other things to boast of, e.g., the new Voltage Regulator Down 12 compliant PWM controller Intersil ISL6366, while the X58A-UD9 features the older Intersil ISL6336. Moving on to the slot layout: it hasn't changed. And this is bad, because you still can hardly use the rightmost PCIe x1 slot: only the shortest cards will fit, anything longer will be obstructed by one of the four heatsinks. Speaking of heatsinks, the cooling system looks nice, but is kind of excessive. All the more so because that particular heatsink doesn't help much on the P67A-UD5. As you can see on the photo, it actually covers an empty spot. The chipset was moved beyond the slots, but Gigabyte didn't tailor the cooling system to this exact model. Such design is still justified for the higher-end P67A-UD7 that has a power-hungry nForce 200 bridge at that location. (It allows PCIe modes like x16+x16, x16+x8+x8 or x8+x8+x8+x8.) But the P67A-UD5 doesn't have it, so that heatsink just prevents you from installing certain cards into the aforementioned slot. The second drawback is related to the leftmost PCIe x16 slot — as a rule, it doesn't get enough PCIe lanes. The best it can have is four, which is nice, because now all lanes have the full PCIe 2.0 throughput — something P55 and the rest lack. However, populating any of the PCIe x1 slots will switch the leftmost x16 one to the x1 mode as well. On the one hand, the rightmost slot can hardly be used and the other one will surely be obstructed with graphics card cooler. On the other hand, sometimes you may need to install the graphics card in the second slot to use the normally obstructed PCIe x1 slot. In any case, this switching to and fro becomes a real bother. Gigabyte first implemented it in the P55 series, then in the P55A lineup, now it's the P67A series that suffers. And the solution to this problem is simple, ASUS has been using it for a long time. Why, even Gigabyte has been using it in its graphics cards. There are switches capable of doubling the number of PCIe lanes. Of course, this won't affect bandwidth, but installed cards don't always work at the same time, too. And where's a half of PCIe lanes, of which P67 has 8 full-speed ones? Traditionally, one lane is used by an Ethernet controller. Another is used by eSATA — Intel has been providing decent eSATA features from H55/H57 on, but motherboard makers haven't been using it in their high-end models yet. The third lane is used by the USB 3.0 controller that we'll examine later. And the fourth lane is needed to support... the PCI bus. The matter is that of all new Intel chipsets only the ultrabudget B65 supports this legacy interface. It's hard to say what the company is trying to achieve, because there have been motherboards without PCI support before. Moreover, you can't say there's more of them now, because all full-size ATX boards, Intel's included, actually support two PCI slots. But the circuitry has become simpler, because only one PCIe link is needed for a PCI controller located right by the slots. 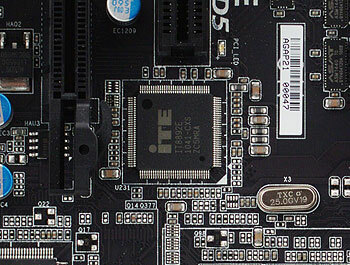 Gigabyte uses ITE IT8892E that supports three PCI slots: two are onboard and the third is used by the FireWire controller. Now let's move to USB 3.0. The motherboard has a staggering amount of these ports. How did they do it, given the limited PCIe lanes? Very simple: there's actually just one dual-port Renesas D720200 (former NEC µPD720200F1). They turn it into 8 ports by means of two 4-port VLI VL810 hubs. Of course, you won't be able to plug in eight USB 3.0 devices and enjoy maximum throughput, but, on the other hand, you will hardly need to. But connecting devices is much more convenient now. All the more so because Gigabyte didn't put all of the ports onto the backpanel, they left four onboard as two new 19-pin headers. Finally, there's another peculiarity we haven't mentioned yet. It's time to say goodbye to legacy interfaces like PATA and FDD. Gigabyte eliminated those even from inexpensive motherboards based on the H67. Obviously, some users will be displeased. Well, AMD chipsets still support PATA, but even new motherboards based on those lack PATA connectors more and more often.